Preheat oil in Presto® electric deep fryer. If using an adjustable thermostat deep fryer, set at 375°. In a small bowl beat egg whites until frothy. In a shallow bowl combine bread crumbs, cheese, salt and pepper. Dip chicken strips in egg whites, draining excess. Dredge strips in bread crumb mixture and pat all sides to make sure mixture adheres. Shake off the excess. 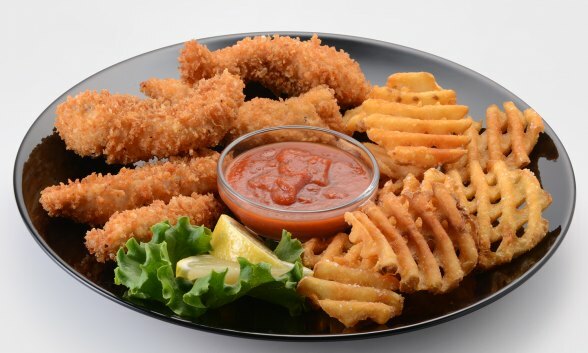 Fry chicken strips until dark golden brown and crispy, about 1 minute. Do not overcrowd. Drain on paper towels. Serve warm with desired sauce.